The NOC is pleased to announce that Dr Matthew Palmer will take on this role, aimed at promoting and enabling enhanced collaboration between MARS engineers and the marine science community. Dr Palmer will work alongside Professor Russell Wynn (who continues in a dual role as NOC Associate Director and MARS Chief Scientist for Government, Industry and Public Engagement), and together they will support the effective transfer information and expertise from the MARS team to stakeholders across the wider science community, government, industry, and the general public. 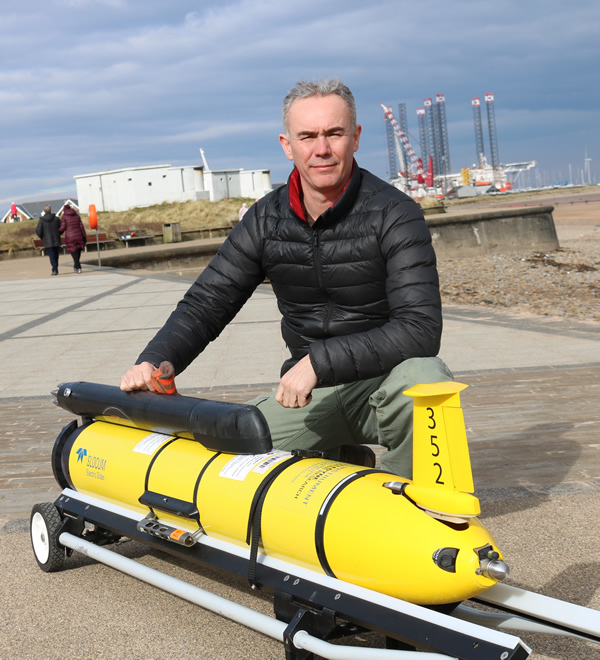 Dr Palmer has extensive experience working with marine robots, having led on numerous scientific campaigns using ocean gliders, working on the development of new data analysis methods, and promoting the integration of new and emerging sensors on autonomous platforms to meet the demands of multi-disciplinary marine science. Dr Palmer has also been active in promoting increased community engagement of robotic technologies, helping organise national workshops and conferences, providing expertise on international panels, and currently leads on the AlterEco project that is testing marine robots capability to deliver science for research as well as marine monitoring and management purposes.